The Geneva International Motor Show is renowned as one of the most important car exhibitions in the world and its 86th edition didn’t disappoint. The prestigious event took place between 3rd and 13th March, 2016, providing 11 days of the very best automobile debuts and major launches. The halls of the Palexpo convention centre provided the perfect arena to display the array of supercar and luxury vehicles from the likes of Aston Martin, Porsche, Bugatti and Rolls-Royce. If the Geneva Car Show couldn’t turn your thoughts towards a luxury supercar rental, then nothing could. This year’s show was one of the best yet with nearly 100 cars and concepts being premiered in Geneva over the past week. It was a landmark year for hypercars and beautiful British sports cars. Lamborghini showcased its $1.9 million Centenario which offered flamboyance in abundance, even by the Italian carmaker’s usual standards. It’s a special edition to commemorate the centenary of the birth of Ferruccio Lamborghini. Made almost entirely of carbon fibre, its naturally aspirated V12 engine will fire it from 0-62mph in 2.8 seconds and reach a maximum of 217 mph. Just 20 coupes and 20 convertible examples will be produced, but they’ve already been sold in advance. The sensational Aston Martin DB11 was a resounding hit and might just be the car to save the financially ailing company. The stunning bright orange two-door, four-seat coupe arguably garnered the most attention, its all-new 5.2-liter twin-turbocharged V12 engine sitting beneath its stylish clamshell hood. It’s also constructed from a new bonded aluminum that Aston Martin says is lighter, stronger, and more space efficient than previous incarnations. The DB11’s impressive engine controls, safety features and infotainment system are provided courtesy of Mercedes-Benz. Another noteworthy appearance came in the form of Alfa Romeo's Audi A3 rival, the Alfa Romeo Giulia. The model has benefitted from new front-end styling and a new range of specifications making her an interesting contender against her competitors like Mercedes C-Class and BMW 3-Series in the popular executive saloon sector. The new C-Class Cabriolet was one of the best-looking cars on display, slated to go on sale this summer, it’s a more spacious offering due to its fabric folding roof. Meanwhile the BMW 3-Series Gran Turismo occupies the middle ground between station wagon and crossover with its conservative yet sporty appearance. Its precise and roomy design features LED headlights, in addition to Comfort Access and satellite radio. A further revelation from the event was the unveiling of Goodyear's Eagle-360 spherical tires, designed to be used on autonomative vehicles of the future. The tires are designed with maneuverability in mind, ultimately improving the safety of the vehicles passengers. 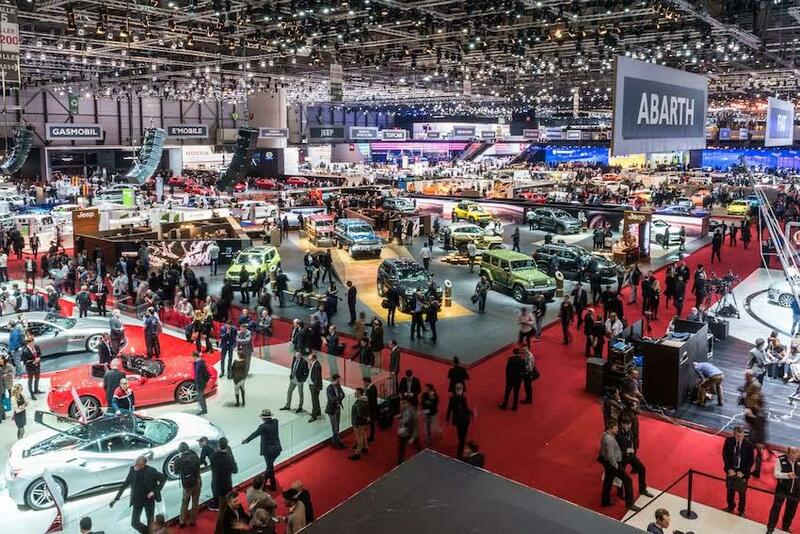 After another successful year of innovative discoveries, state-of-the-art prototypes and new partnerships, the Geneva International Motor Show continues to grow in popularity and prestige. Around 220 exhibitors including the major brands, a lot of designers and equipment suppliers filled seven halls, covering 110,000m2 with the most advanced automotive engineering money can buy. The range of top-tier vehicles always inspires our selection of luxury supercar rentals. Switzerland conforms to its stereotype of neutrality since there is no car industry of its own, making Geneva a level playing field for all automakers, networkers and car enthusiasts. Please contact a member of the dedicated team at Luxury & Services to discuss your supercar rental requirements.